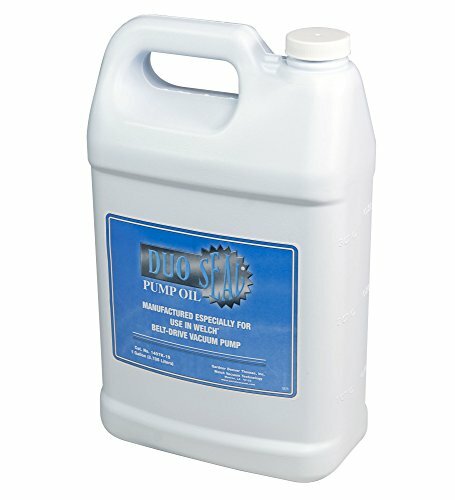 DUOSEAL pump oil with low vapor pressure, ideal viscosity is recommended for use with DUOSEAL or any other belt-driven vacuum pump. No additives or inhibitors. Exhaust filters trap oil mist and reduce noise. Replaceable elements reduce maintenance. View More In Vacuum & Pump Equipment. If you have any questions about this product by Welch Vacuum, contact us by completing and submitting the form below. If you are looking for a specif part number, please include it with your message.